Hello and thank you for visiting my website. I know that buying or selling a home is one of the most important things you will ever do, and I want to help make that experience as smooth and successful as possible. My success is due to hard work, good ethics and a can't-be-beat service. 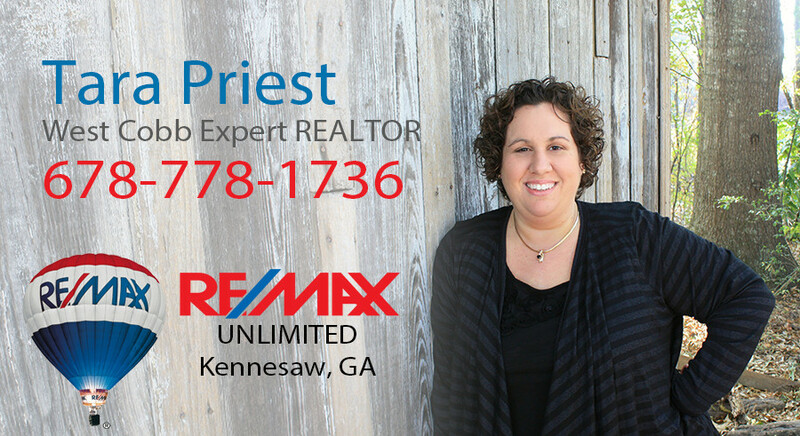 My extensive experience and expertise in the Acworth, Kennesaw and Marietta Real Estate market will benefit you greatly whether you are looking to buy or sell a home in the area. I invite you to contact me today to discuss how I can help you with your Real Estate needs. I invite you to visit my Client Testimonials page and see what my clients say about my exceptional service. I've had the honor of working withsome great families over the years and I would love to add you to that list as well! Click here to visit my Client Testimonials page. 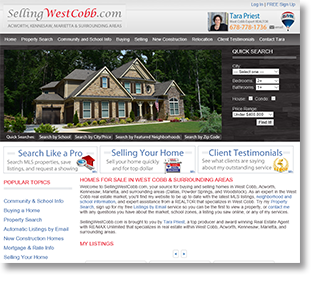 I invite you to explore my website, SellingWestCobb.com.You'll find more information about me, my services, schools and community information, and direct access to the MLS. 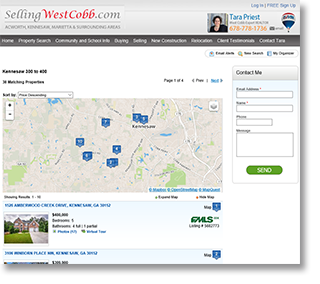 Click here to visit SellingWestCobb.com. Ready to find your nextdream home? Click here for free, direct access to the MLS. Register for a free MLS account and search, save listings, and request more information or a showing. My MLS listings are updated immediately (unlike those national websites with outdated listings), so you can be confident that the homes your searching are up to date and available. Are You Ready for an Amazing Experience? If your ready for an amazing experience pick up the phone and call me now! Selecting the right REALTOR and a local expert makes al the difference when buying and/or selling a home. You can reach me at 679-778-1736 or by email at tara@sellingwestcobb.com. I am always available and very responsive to my clients, so come join my SellingWestCobb.com family and call me today! 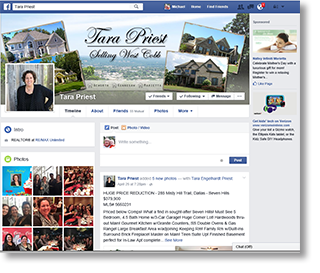 Click here to visit me on FaceBook. Make sure you send me a friend request!